If you have or are currently getting a troublesome error saying, “The boot selection failed because a required device is inaccessible”, when you boot your computer, then continue reading as this post will give you some suggestions that may help you resolve the error. This pesky error pops up during the booting process of your computer and prevents you from booting to your Windows 10 PC and displays the error message in a black screen instead. To fix this problem, here are some suggestions you need to check out. Turn on your PC and repeatedly tap the Setup key right away about once every second until you see the Computer Setup Utility or the BIOS settings. Then use the right arrow key to select the Security menu and then use the down arrow key to select the Secure Boot Configuration option and then tap Enter. Just a heads up, before you can use Secure Boot Configuration, a warning will pop up. Simply tap F10 to continue to the menu. After opening it, use the down arrow key to select Secure Boot and then the right arrow key to set the setting to Disable. Next, select the Legacy Support option using the down arrow key and then the right key to set the setting to Enable. Now tap F10 to confirm the changes and then use the arrow key to select File menu and then the down arrow key to select Save Changes and then Exit and tap Enter to select Yes. From there, your computer should restart and once it does, use the power button to switch it off. If you are now able to boot from your hard drive, you need to know which option to choose once the boot menu pulls up. Refer to the steps below to easily boot from your hard drive. Tap the power button to boot your PC. Once your PC starts, a message will appear indicating that the boot mode has now changed. Next, you’ll see a security screen displaying a four digit code. Type in this four digit code and tap Enter. After that, tap the power button to turn the computer off and wait for a couple of seconds and then turn your PC on and tap the ESC key right away repeatedly until you see the Startup menu. Now tap F9 to open the Boot Menu and use the down arrow key to select the hard disk and make sure to select it by tapping Enter on your keyboard. Option 2 – Try running the DSKCHK Check from the Recovery Media. The DSKCHK utility scans your hard drive for any errors, bad files or corrupt sectors so this should help in fixing the problem. The first thing you need to do is to download the Media Creation Tool from Microsoft and then open it after the download. The file should be “MediaCreationTool.exe”. Then tap Accept to agree to the terms and conditions and then from the initial screen, select the “Create installation media (USB flash drive, DVD, or ISO file) for another PC” option. Keep in mind that the language, architecture, and edition of the bootable drive will be selected based on your PC’s settings but you have to uncheck the Use the recommended options for this PC in order to choose the correct settings for your own computer that’s getting the error. Now click Next and then click the USB drive or DVD option once prompted to select between USB or DVD depending on what device you are using to store this image on. Then click Next and select the required drivers from the list of storage devices currently connected to the computer. Click Next. After that, the Media Creation Tool will proceed to download the files needed to install and create the installation device. The next thing you have to do is to insert the installation drive. After that, you will see the “Choose your keyboard layout” window so select the one you prefer and then the Choose an option screen will pop up. 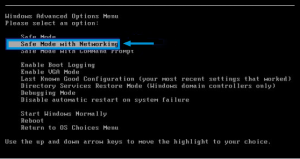 Go to Troubleshoot > Advanced Options > Command Prompt. After opening Command Prompt, input the following command and hit Enter. Now boot your PC without the recovery drive and check if the problem’s fixed or not. Open the computer case and then look for the battery in the motherboard. If you can’t find it, you can seek out the motherboard or computer documentation of your PC as well as browse the web or contact manufacturer for further assistance. Removing the battery should be easy especially if your computer uses a coin cell battery. Just use your fingers to grab on the edge of the battery then pull it up and out of the socket that’s holding it in place. Keep the battery removed for about 10 minutes and then insert it back and try booting into the BIOS. Inject the installation drive you created earlier and boot your PC. Select the keyboard layout from the Choose your keyboard layout window. From there, the Choose an option screen pops up. Navigate to Troubleshoot > Advanced Options > Startup Repair. If the options given above didn’t help you in fixing the “The boot selection failed because a required device is inaccessible” error in your Windows 10 PC, there is also another that could help you. What makes this program better than other system utility tools or antivirus programs is that aside from helping you free up disk usage and memory in your computer, it helps you in fixing whatever issue your system is facing including BSOD errors. 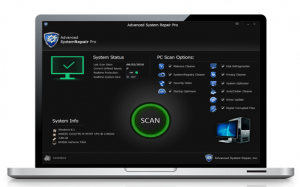 This program is known as Advanced System Repair and is a useful tool that could repair corrupted registries and optimize your PC’s overall performance, including high CPU usage of some program in your system. Aside from that, it also cleans out your computer for any junk or corrupted files that help you eliminate any unwanted files from your system. This is basically a solution that’s within your grasp with just a click. It’s easy to use as it is user-friendly. For a complete set of instructions in downloading and using it, refer to the steps below.